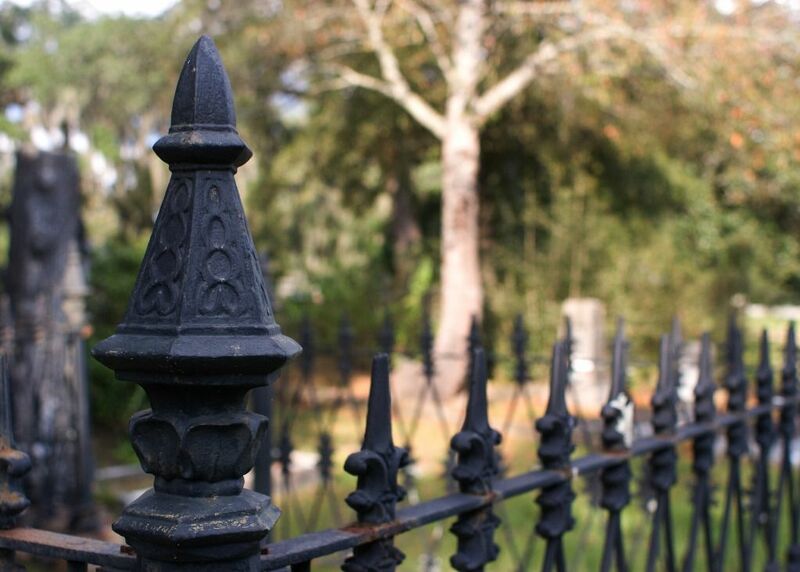 Old City Cemetery is the oldest public burial ground in Tallahassee, and it’s one of my favorite places to visit, because it’s really like a beautiful park, shaded by old live oaks and cedars and protected by a tall black iron fence. In spring the azaleas put on a spectacular show, as do the bulbs—the daffodils and summer snowflakes. 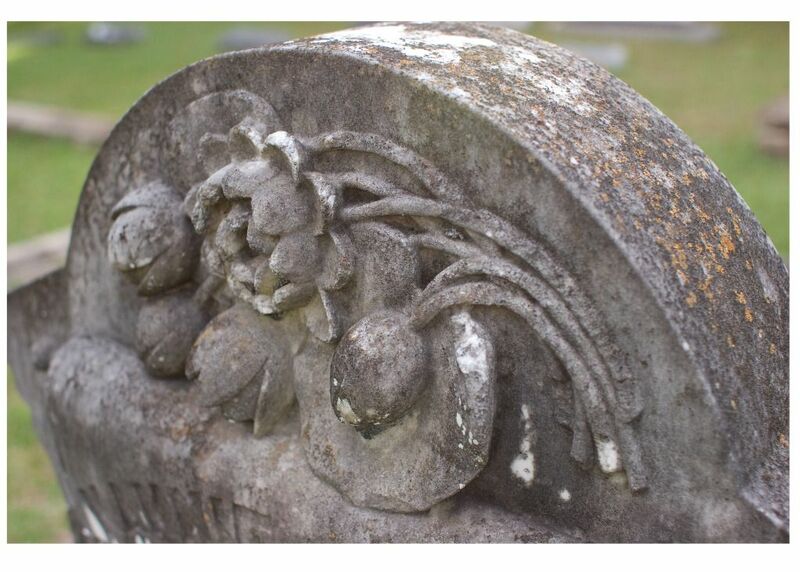 The old tombstones, of course, are works of art. Old City Cemetery was established in 1829, and in the beginning it wasn’t very nice, apparently. Cows and pigs roamed around among the grave markers, which were mostly made of wood since stone was so expensive to ship down from the North. 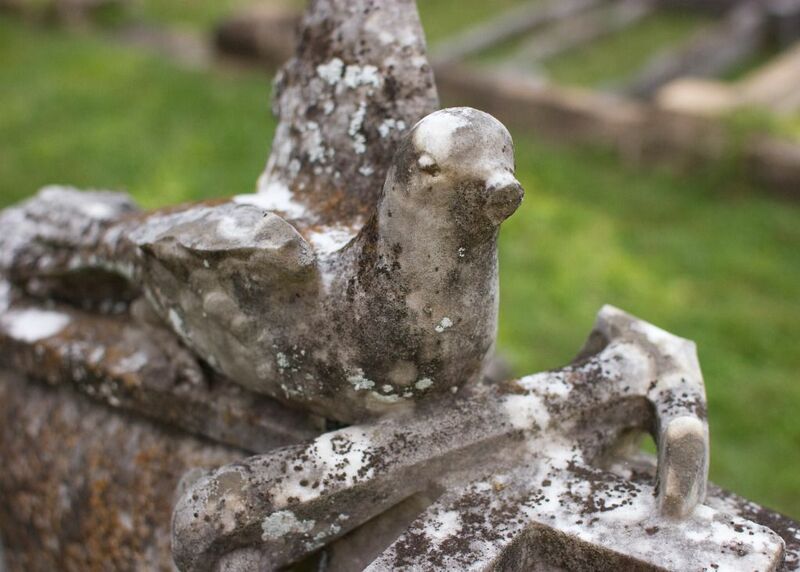 With time, though, the cemetery became more civilized and home to fancier monuments. 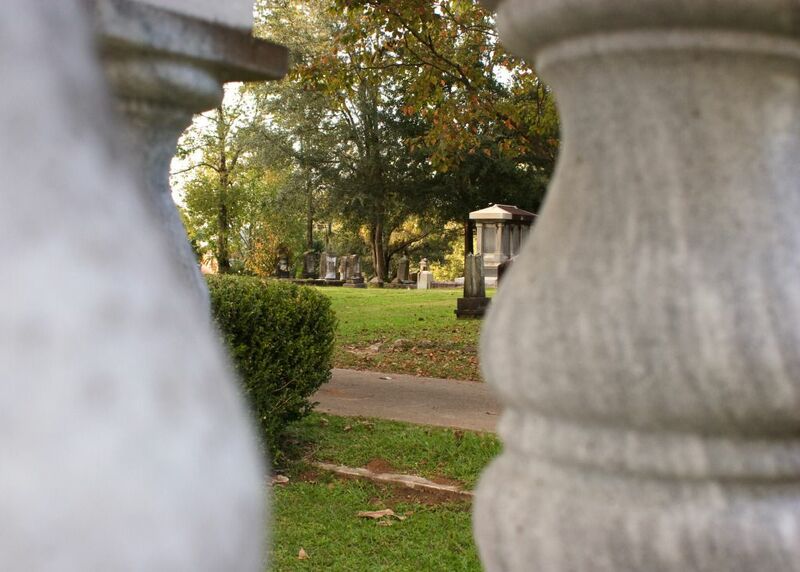 By the late 1800s there was more money in town, and the wealthier folks were being remembered with marble and granite pillars and crosses and tablets and angels. There are lots of important people buried in Old City Cemetery. 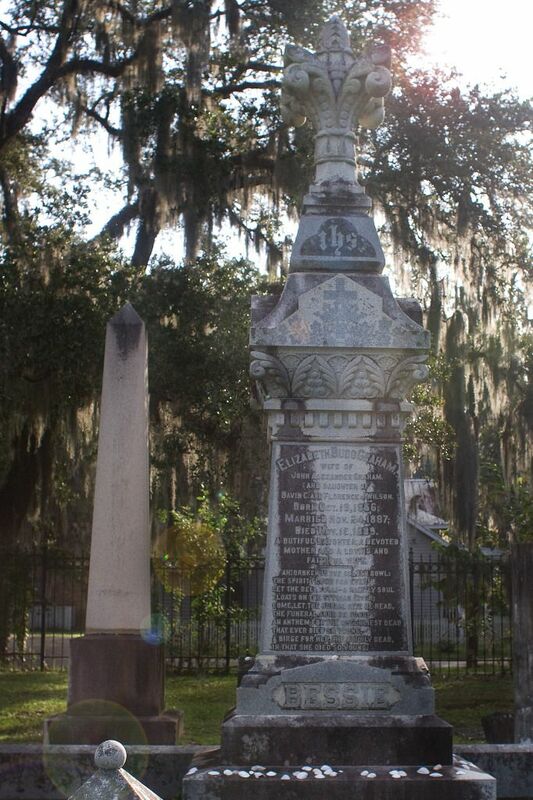 Thomas Van Gibbs, one of FAMU’s founders, is buried there. So is Thomas Brown, Florida’s governor from 1849 to 1853, and the Reverend James Page, the first African American in Florida to be ordained as a Baptist minister. People say there’s a witch buried in the cemetery. Her name is Elizabeth “Bessie” Budd Graham, and she died in 1889 at the age of 23. Her remains lie under a flamboyant obelisk decorated with stone feathers and a verse from Edgar Allan Poe’s famous poem “Lenore.” It’s probably the presence of these words by the master of the macabre that started the witch rumors. Or maybe it’s the fact that Bessie was born in October, or the fact that her grave faces west when all the others face east. Bessie’s grave is one of the most visited in Old City Cemetery, and when I came close, to take this picture (below), I spotted a little assortment of offerings—rocks and coins and seashells. 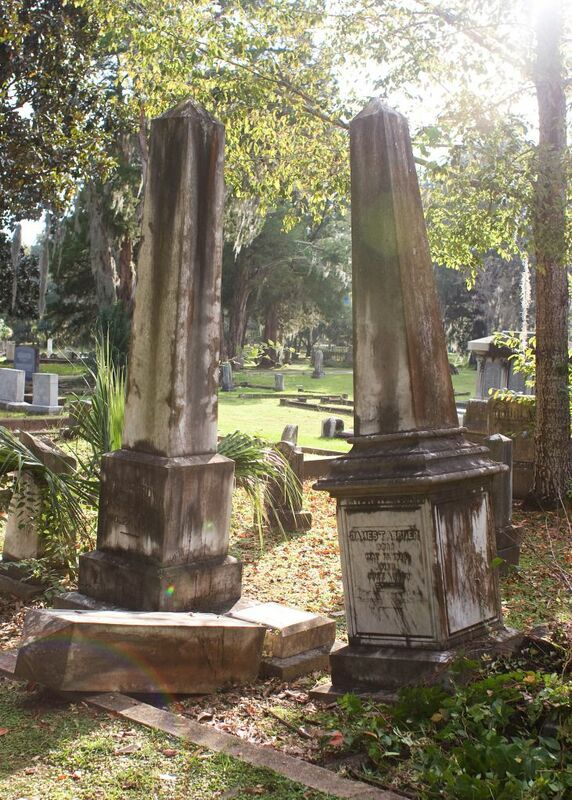 I’ve visited Old City Cemetery all my life. Back in the ‘80s when Kris and I were angsty teens, we used to pose for pictures among the graves, dressed in our all-black outfits. In college my dramatic friend Vici and I would picnic on Pepperidge Farm Milano cookies under the cedars and talk about death and the Smiths. Later, in grad school when I was teaching freshman English, I’d bring my students to the cemetery to do a little creative writing . . . and they’d inevitably slack off. One time half the class sneaked away after I took the attendance. I told them they could wander the cemetery and write whatever they felt inspired to . . . and they just slipped out the gate as I sat, dreamy-eyed, composing a poem under a magnolia. It’s a funny thing, living in the same smallish city most all of your life. By the time you reach a certain age every square inch of the place has a memory attached to it and means something to you personally. Every nook and cranny is haunted by the past. And that’s how it is with Old City Cemetery. Whenever I go there I’m bound to see a ghost—a dorky, dumb, spike-haired ghost, the younger me. Wow, Leslie, these are the most awesome pictures! You've really got a gift for photography! Leslie, I can tell how much you love where you live. Thanks for sharing your little spot in the world with us. I agree - great pictures (and post). I love the Bessie story . . . quite fascinating. I see an entire research paper on her grave site alone. There is a special gift to be had when one is able to grow up and live in the same town. I grew up in Miami (until I was 28) and when I travel back, I get this sensation that is impossible to describe. That's funny, I love the Smiths and the PF Milano cookies too. The mint ones. The cemetary looks like a great place. Thank you, Anonymous and Anonymous! Thanks, Eli. You always make the most awesome comments. I bet it was cool growing up in Miami . . . that seems so exotic to me . . .
You've got great taste, Sweetbay :) The mint ones are the best. Hi Bunny, thank you. I wish you would start a blog about your jewelry making and treasure hunting. I would be your most devoted reader. 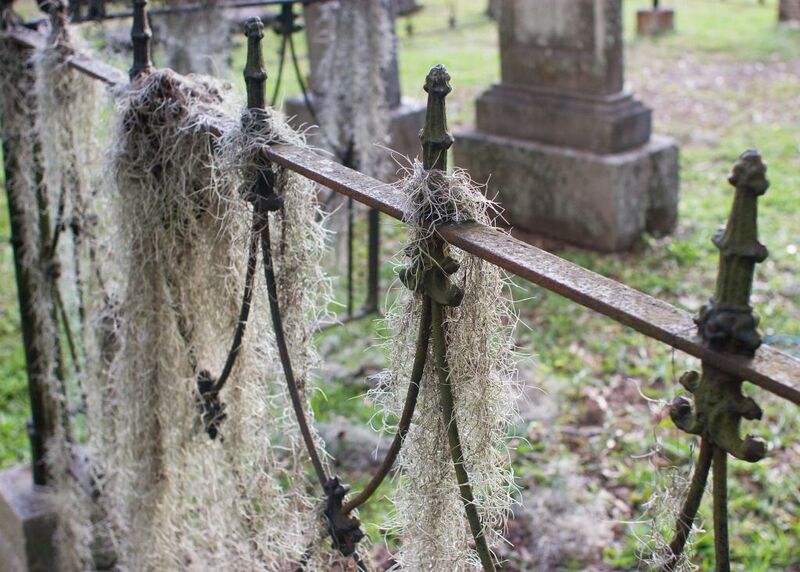 You can't beat an old cemetery...so much mystery and a bit of romance, too...especially one with ancient old oaks draped in moss and old ornate markers. Bessie had quite an impressive grave marker. So many unanswered questions...why that poem? why facing west? If only the old trees could talk to us. Long after death she lives on in the minds of people unknown to her. This is so awesome! My freshman drawing class used to draw in the cemetery. I loved it so much. It was the only time I would not be dying to get out of class. I loved to sit far away from everyone on the Murat side. I still have a drawing of the needle palms in the cemetery. Susan, I know exactly what you mean. 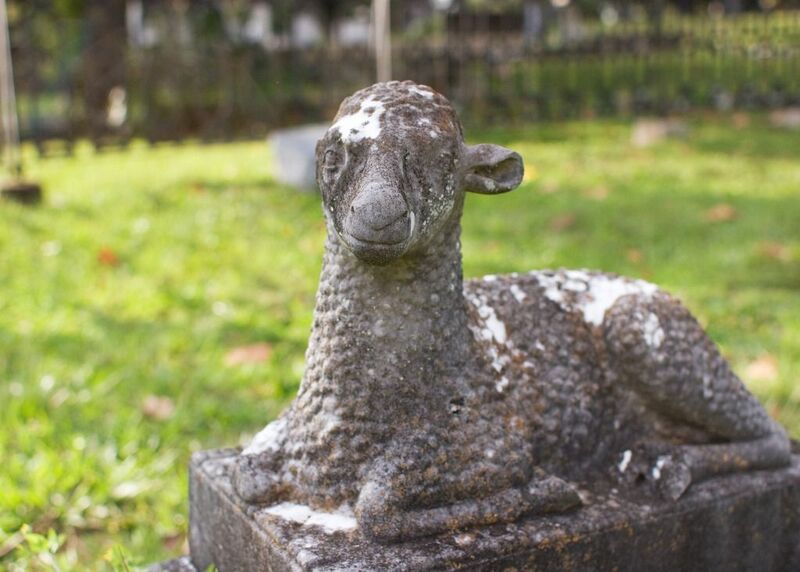 I want to learn more about Bessie and about the whole cemetery. I need to take a trip over to the State Library. . . .
Hi Kris, I want to see that needle palm drawing!